We all know that washing your face on the daily is de rigueur. But, you shouldn’t be reaching for just any cleanser. Just like what you eat, what you wash your face with can make or break your complexion. So, the obvious answer here is to grab a top-quality cleanser. Simple, right? But here’s the catch: just because a cleanser is pricier, doesn’t mean it’s better for your skin—it sometimes means you’re just paying for fancy marketing. There are so many things to take into consideration: your skin type, the weather, and the ingredient list being the most important to highlight. If you’re looking for a top-notch cleanser that will give you a bang for your buck, shop some of our experts’ favorite cleansers below. Packed with lavender, oat, and antibacterial elderflower extract, this cleansing foam will give your pores the deep detox it needs without any tightness or irritation. 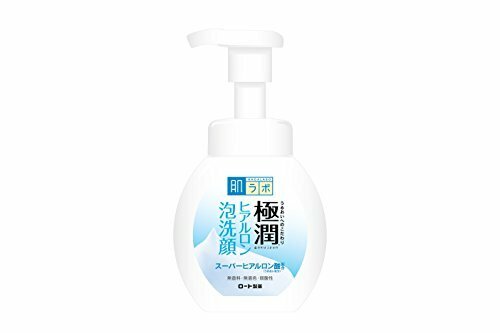 If you have dry skin, then you must grab Lu’s favorite cleanser. It’s packed with the moisturizing skin godsend hyaluronic acid, to give your complexion a radiant, plump finish. Plus, it’s less than $10, so why wouldn’t you stock up on this pick? This fragrance-free moisturizer also contains hyaluronic acid for a much-needed hydration boost. It’s also filled with ceramides, a compound that helps maintain and repair the skin’s barrier.